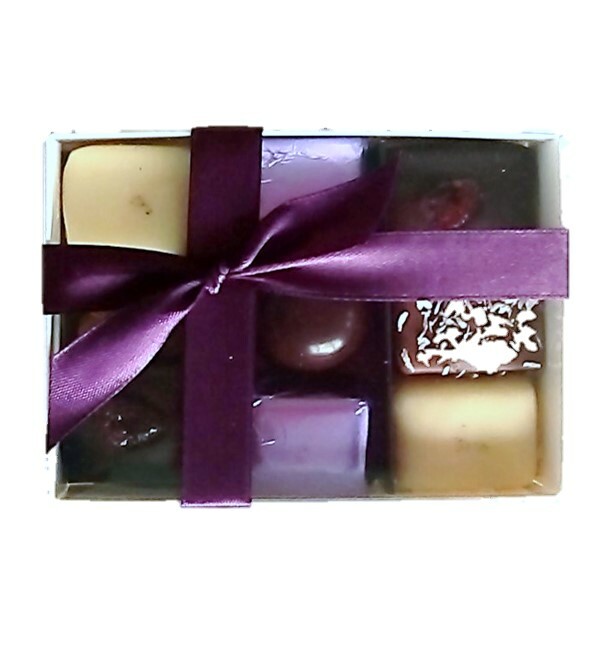 A luxury selection of handmade dark, milk and white chocolates containing a variety of flavours such as Kirsch-Soaked Cherry, Cardamom & Pistachio Praline and Salted Caramel. 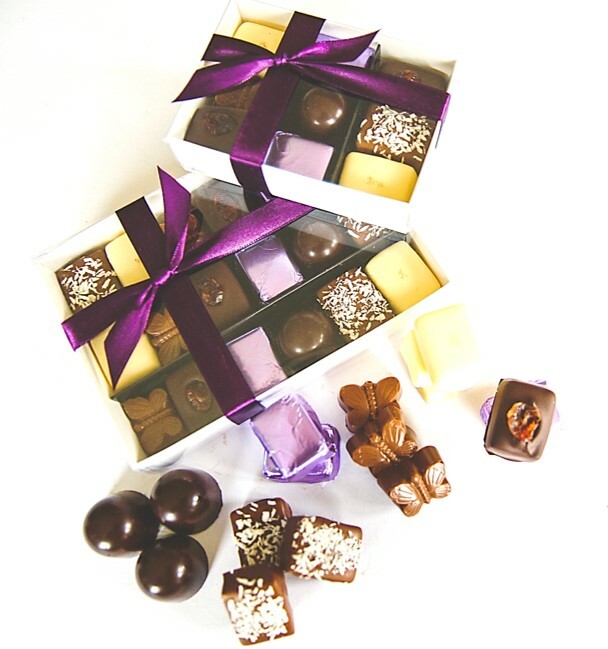 Please note the chocolates may vary slightly from those shown in the image. Also available as a Box of 18 and Box of 36. Milk chocolate (sugar, cocoa butter, whole milk powder, cocoa mass, emulsifier: soya lecithin, natural vanilla flavouring), dark chocolate (cocoa mass, sugar, cocoa butter, emulsifier: soya lecithin, natural vanilla flavouring), white chocolate (sugar, cocoa butter, whole milk powder, emulsifier: soya lecithin, natural vanilla flavouring), sugar, dried apricots, dried cherries (cherries, sugar, sunflower oil), Kirsch-soaked cherries (cherries, sugar, alcohol, kirsch), pistachios, hazelnuts, butter (milk), double cream (milk), Amaretto, desiccated coconut, Maldon sea salt, almond oil (sunflower oil, almond extract), ground green cardamom. Please see ingredients in bold. Made in an environment where nuts are handled. May contain traces of sesame.